Sports – Page 908 – Welcome to Wyandotte Daily! At Fat Cats located at 411 N. 6th St. in Kansas City, Kan., a celebration happened this afternoon as the Kansas City Royals won the American League Championship Series and advanced to the World Series. 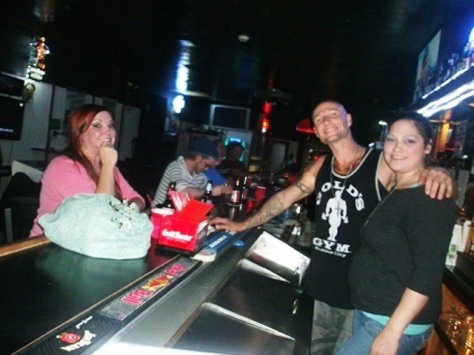 Fat Cats is one of many restaurants and bars that celebrated the Royals victory over the Baltimore Orioles. Those attending this small celebration on North Sixth Street expected there to be a lot of celebrating going on throughout the Greater Kansas City metropolitan area in honor of the Kansas City Royals victory over the Baltimore Orioles. 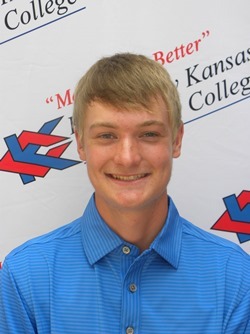 Kansas City Kansas Community College golfers dominated the annual Blue Devil Classic played at soggy and wind-blown Dub’s Dread Tuesday, finishing first and third in the eight-team tournament. Led by co-medalist Charlie Rinehart, a sophomore from Piper, Blue Devil golfers turned in five of the six low scores and eight of the low 12 in the tournament shortened to 18 holes by the day-long rain that wiped out Monday’s first round. Rinehart and Eddie Doyle of Kirkwood Community County shared medalist honors at 3-over par 75 while Blue Devil sophomores Seve Sites of Shawnee Mission West and Lane Pauls of Newton and freshmen Marc McClain of Bonner Springs and Colton Allen of Shawnee Mission West all tied for third at 78. Rinehart, Sites, Pauls and freshman Jeremy Dunham, who finished in a tie for 10th at 81, made up the KCKCC Blue team which took top honors at 312, three shots in front of Kirkwood and seven in front of the KCKCC Red team (319). McClain and Allen were joined by Piper sophomore Montana, who tied for eighth with an 80; and freshman Matt Thyne of Hesston and sophomore Dalton Ayres of Newton on the KCKCC Red team that was third at 319. Thayne tied for 17th with an 83; Ayres shared 21st with a 74. Haskell Purple took fourth at 332 followed by Allen County (333), Des Moines Area (336), Coffeyville (361) and Haskell Gold (370). The Blue Devils will close out the fall season Monday and Tuesday when they compete in the Southwestern Invitational in Winfield. – Piper varsity won 3-0 (goals by A. Shriver, Wilson, and Snell. S/O by Ford.